High and low in the high 70's. Nice weather all week provided plenty of opportunities and produced several "firsts" on a fly. Conditions were excellent for sight casting both from the boat and wading. Good weather helped produce some nice permit on the fly. 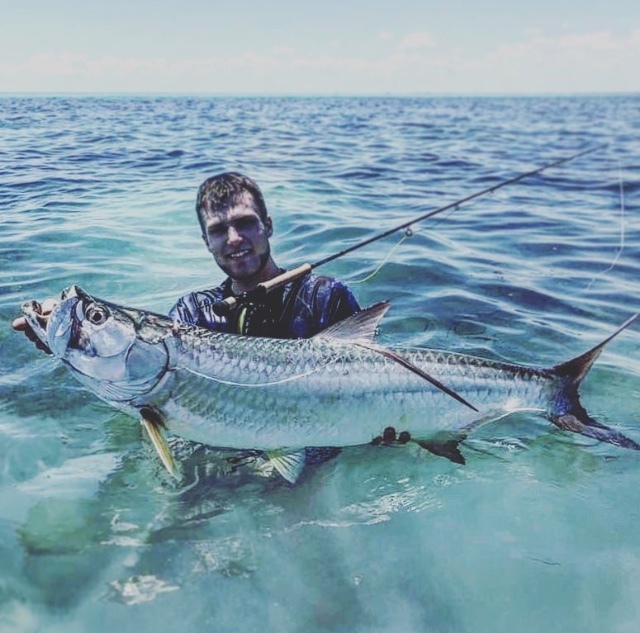 Tarpon up to 50 pounds were landed. Steve closed out March with a Grand Slam on the fly. Spawning Shrimp, Tan Squimp in size 6 & 8. Chartreuse or white Tarpon Toads.